The planning application follows extensive consultation between Countryside Properties (Bicester) Limited, Cherwell District Council and the Kingsmere Residents’ Association. 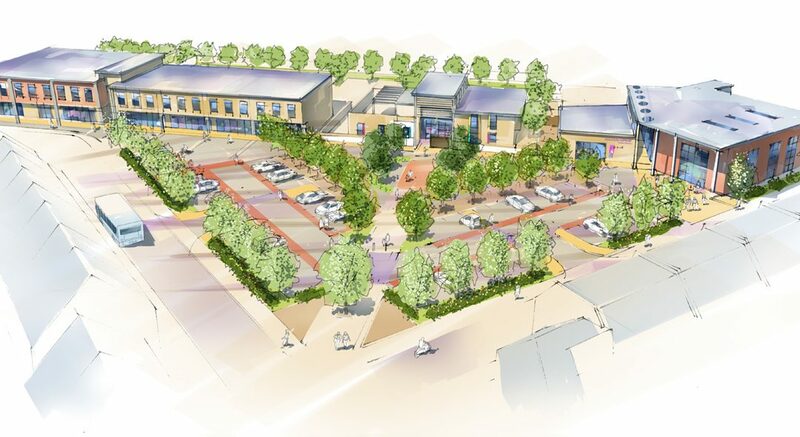 The neighbourhood centre will form the social hub of Kingsmere, bringing both the community centre and local shopping facilities into the heart of the development, opposite the new primary school. The community centre will include a ground floor café, multi-purpose hall suitable for community meetings or smaller more informal events and a dedicated youth facility. With Bicester now one of the fastest-growing towns in Oxfordshire, Kingsmere has helped establish a thriving new community on the south western edge of Bicester. Up to 2,450 high quality new homes are being developed, alongside a wide range of amenities including a new secondary and two new primary schools, and two major recreational areas with sports facilities. A hotel and restaurant have already been opened, and the first new primary school is due to open early in the New Year. Frequent bus services now run throughout Kingsmere providing a direct connection to Bicester and Oxford city centre and the railways stations. As part of the scheme, Countryside Properties (Bicester) Ltd is contributing major investment toward infrastructure improvements in and around Bicester including public transport, education, library services and highway improvements. The new Park and Ride service, which will offer a direct route into the centre of town, is due to open at the end of November.